Check out Brad Morrison (owner of RBSW) new vehicle wrap. 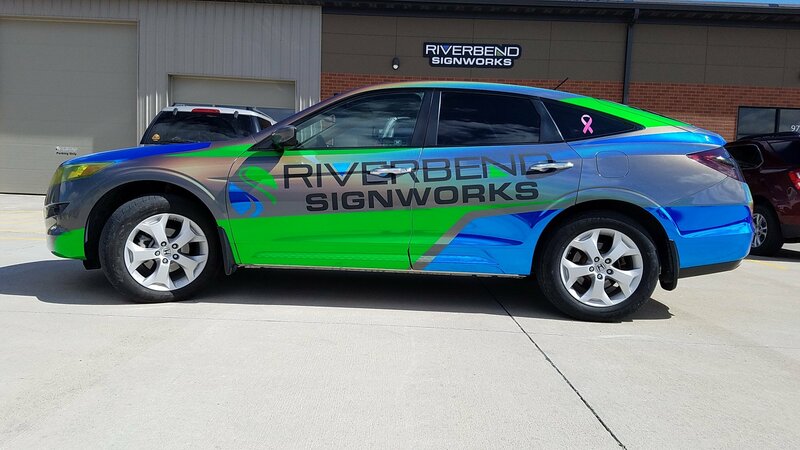 This wrap uses color chance vinyl, blue and green chrome, and gloss and matte black with an embossed logo on the top. It’s got the works! It will be sure to catch some looks when he’s driving around town. Want to work with us? 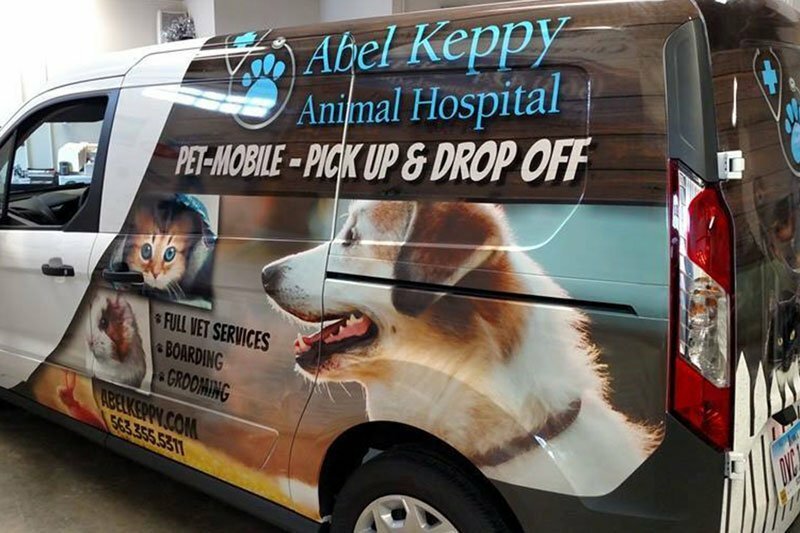 Vehicle Wrap for Abel Keppy Abel Keppy is an animal hospital located in Bettendorf, Iowa. We have completed a half vehicle wrap for them as well as magnet decals. Want to work with us? Custom Lobby Sign for Re/Max River Cities Re/Max River Cities office in Bettendorf, Iowa came to us for a new lobby sign! 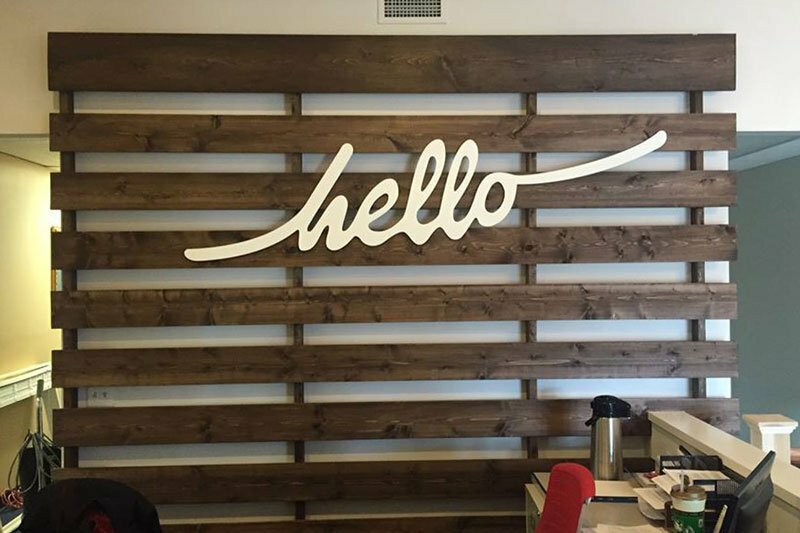 We helped them create a sign that created a welcoming environment. Want to work with us? 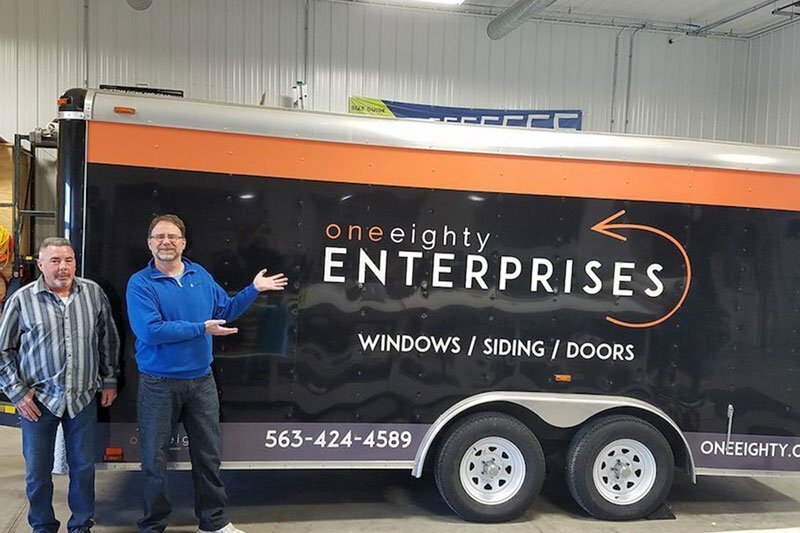 Trailer Wrap for One EightyThis is one of the many examples of work we have done for One Eighty. They have gotten many other wraps and signage from us. Want to work with us? 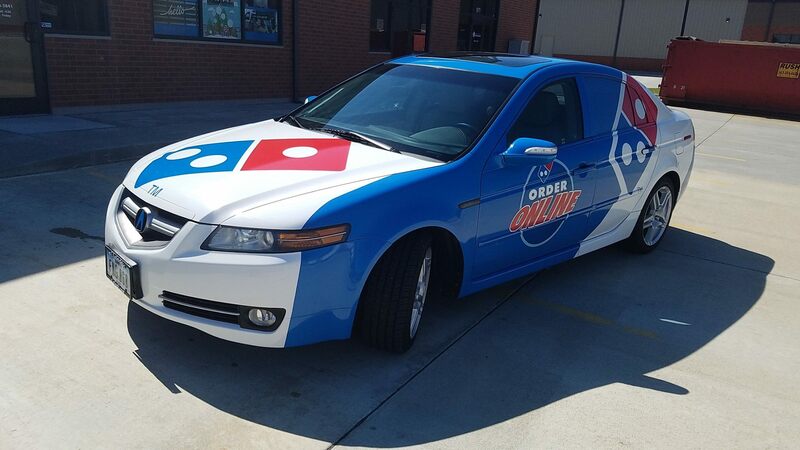 Domino’s Pizza came to us with the need for a vehicle wrap. Now when they are out and about delivering pizzas, they are making 30,000-70,000 impressions per day. Domino’s Car Wrap Want to work with us?